Stainless steel and nonstick pans each have their own pros and cons in the kitchen. 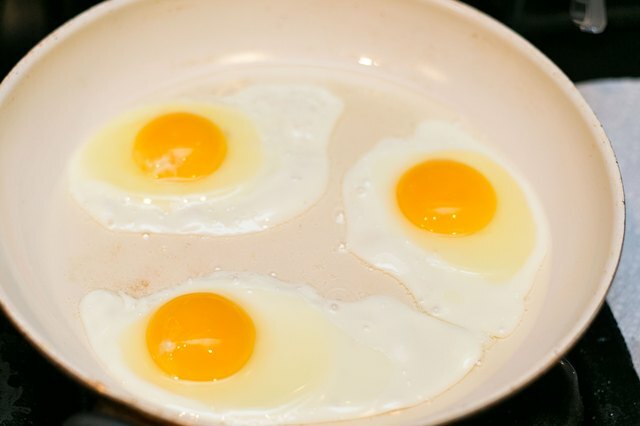 While stainless is good for boiling, browning and braising, nonstick pans are beneficial when working with foods that might stick, such as eggs. There are many types of pans on the market today, including stainless steel and nonstick. Stainless steel pans have been the choice of professional chefs for years; they are generally made up of a number of different metals. Nonstick pans, which have a surface coating that keeps food from sticking, also have a place in the kitchen. Sauce pans, saute pans and other commonly used pans are available in both nonstick and stainless steel. Stainless steel pans offer good heat distribution, which results in more even cooking. They are a good choice to use when browning meats or boiling water, and for making pan sauces and gravies. In addition, they are lighter than nonstick or cast iron pans, making them easier for some cooks to handle. 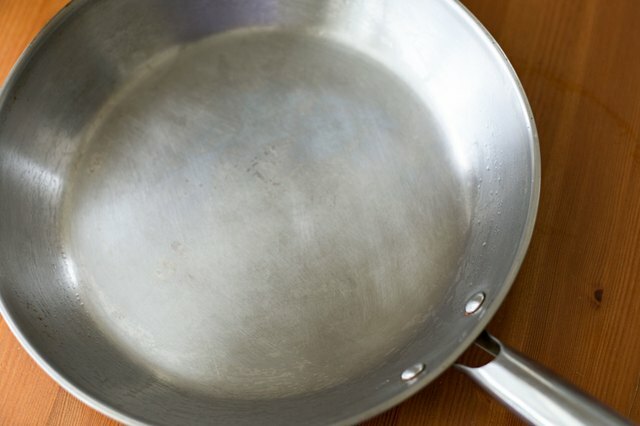 Many stainless steel pans have steel handles and are oven safe, meaning that a dish can go from cooktop to stove without having to transfer the food to a different piece of cookware. Nonstick pans offer many benefits. They work well when cooking foods that generally stick easily, such as eggs. In addition, they can contribute to healthier cooking, because nonstick pans do not require the amount of oil that stainless steel needs to keep foods from sticking. 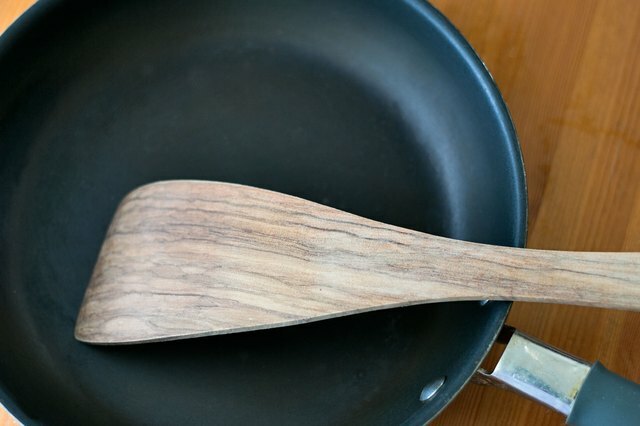 Another benefit of nonstick pans is their resistance to acids; they will not react to acids such as tomatoes or wine as stainless steel might. Finally, nonstick pans are usually easy to clean. Foods cooked in them don't stick to the surface, so they can be easily washed. When choosing cookware, don't be limited by the sets sold in stores. 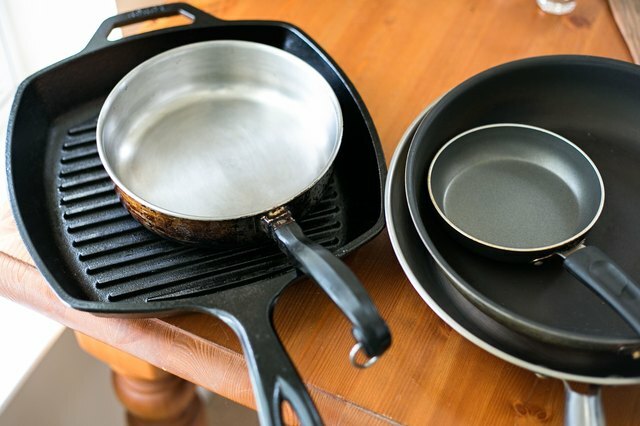 Almost every piece of cookware can be purchased separately--sometimes at the same cost or even less than the sets. Consider what the pans will be used for, the method of cooking and the amount of cleanup necessary. In addition, think about the storage space available for the pans before purchasing them and bringing them home to the kitchen. 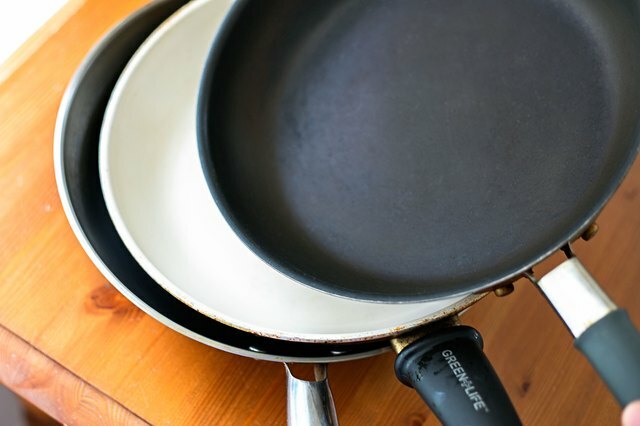 Nonstick pans have come under fire recently because of health warnings. 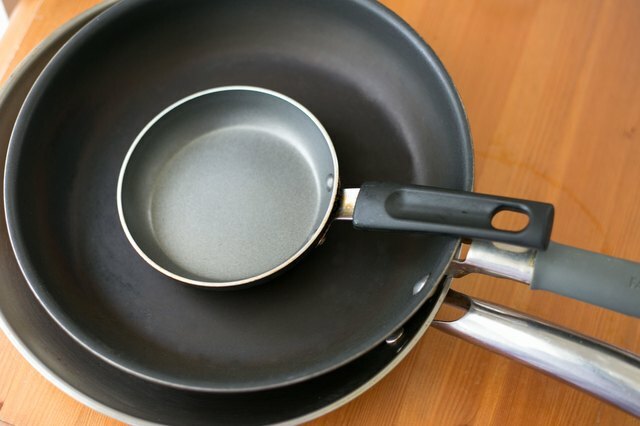 Teflon-coated pans have been linked to health problems in some studies. In addition, these coated pans can become dangerous to use if the coating is scratched, chipped or begins to peel off. Also consider the cooking utensils you use. Never use metal forks, spoons or any other sharp utensils in nonstick cookware, because they may scratch the surface of the pans and damage the coating.